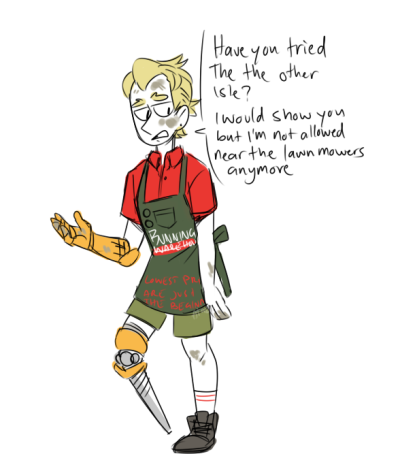 Yesterday, we reported on a petition for Overwatch’s Junkrat to be given a Bunnings employee skin, complete with a Bunnings snag launcher in true blue Aussie fashion. When we originally reported on this, the absolute ledge behind the movement, Eric Lam, was nearing 100 signatures on his proposal, today, he’s got over 1,500 “ciggies”, as he affectionately calls them, and the number is growing by the minute. It’s incredible to see the support from the Australian Overwatch community as we band together for a good cause but it seems as if Lam isn’t the first to think of Junkrat as the model employee, worthy of wearing the iconic Bunnings red and green. Seeing the potential here only makes us more keen for Jeff Kaplan to respond to the petition and deliver the goods!